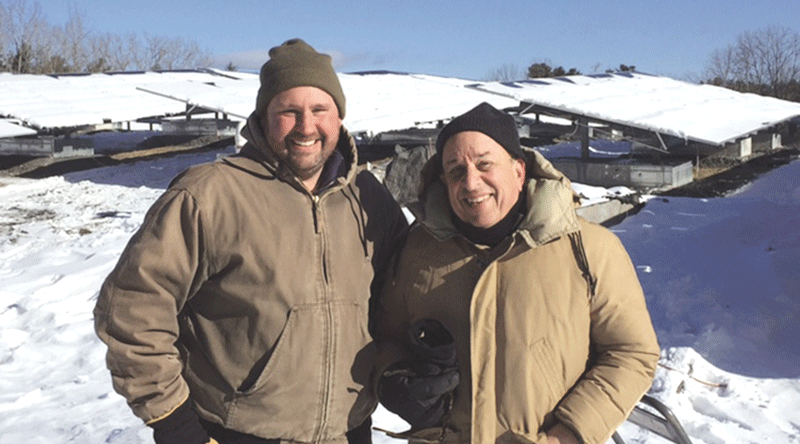 Chris Marsden and Stephen Shatz say the new solar farm on the town’s capped landfill will generate revenue as well as green energy. The idea of change in Stockbridge might seem antithetical to its nature, because the town’s economy is centered on tourism driven by its quintessential New England charm. Indeed, thousands of people flock to Stockbridge each year to frequent its quaint downtown shops or visit iconic attractions that include Tanglewood, the Norman Rockwell Museum, and the Kripalu Center for Yoga and Health. But change has taken place in the town in recent years. Some of it has been unplanned, while other measures have been carefully crafted to retain its ambience, while keeping up with the times. To that end, the town has taken a proactive stance to find ways to keep pace with technology and continue to provide police, ambulance, and fire services to its 1,800 year-round residents as well as its second homeowners and the 7,000 visitors who add to the population every week during the summer. The cost for those services is high, but Stockbridge has taken a piece of seemingly useless property — its capped landfill — and put it to use in ways that will generate new income as well as green energy. The first project is a cell-phone tower that Verizon is erecting on the southern end of the landfill. It should be completed next spring and will make a significant difference because 50% of the town has no cell service and downtown tourists are often surprised when told they have to walk uphill to use their phones. Shatz said some businesses, including the Red Lion Inn, have put in boosters to help with the problem, but the lack of service also presents a public-safety issue as police officers and first responders need to communicate via cell phones when a problem or emergency occurs. Shatz has been working on the issue for three years, and says town officials were pleased to have Verizon win the bid to build the cell tower. He added that Verizon spent almost $400,000 to rebuild a 1,500-foot road to provide access to the southern end of the landfill where the new tower is under construction. Underground circuits were also installed; excavation began recently, and plans are in place to complete construction this winter and have the tower operational by April, although inclement winter weather could affect the schedule. 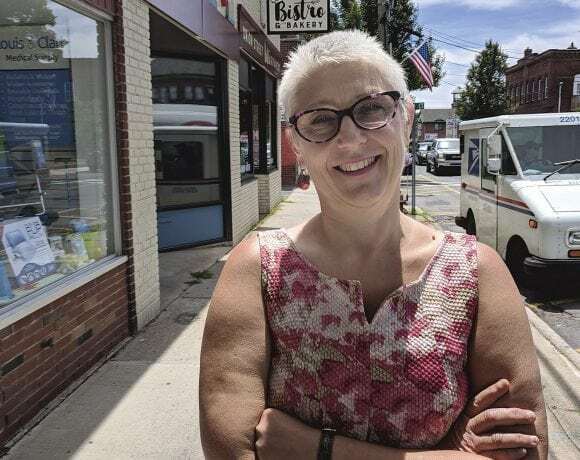 “Verizon has been a wonderful partner in this venture,” Shatz said, adding that Stockbridge will receive $24,000 in rent annually for the next 20 years for the land, plus half of any co-location income received from other cellphone carriers who use the tower. The access road, which was completed in early October, made a second project possible on the capped landfill, which is also under construction. Ameresco is building a 900,000-kilowatt solar facility and when it’s complete, the town will receive rent from the company for 20 years as well as net-metering credits. Shatz noted that crews have been working weekends to ensure the solar facility is mechanically connected to the National Grid’s power grid by Jan. 8, which is the deadline for federal and state tax incentives. Stockbridge Facilities Manager Chris Marsden has visited the site daily since work began in August and says the project has been complicated by regulations associated with a capped landfill. 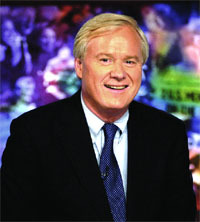 He described the reuse of the landfill as an unusual venture. “The property couldn’t have been used for recreation or development, and was costing the town money to maintain. But we have turned it into a valuable piece of land that will generate revenue from the leases and net-metering credits, which is icing on the cake,” Marsden told BusinessWest. Shatz added that every square foot of the landfill has been put to use. “It’s also important to have Stockbridge become part of the effort to produce renewable energy; we’re a green community and will be the first town in the Berkshires to finish a solar project,” he said, noting that the town’s Green Committee, led by Laura Dubester, received a $140,000 state grant last year to insulate public buildings and continuously work to find funding for green projects. Stockbridge has six bridges in need of major repairs, and a plan is being formulated to address the problem. Several are on Route 183, a well-traveled corridor that connects Great Barrington and Lenox, continues into Stockbridge, and runs past the main gate to Tanglewood before continuing on toward the Norman Rockwell Museum and the Kripalu Center for Yoga and Health. “Mass DOT has downgraded one of the bridges every year for the past five years and has restricted access to heavy vehicles on it,” Shatz said, explaining that the town needs six bridges because the Housatonic River runs through it, as do a number of streams. A special town meeting will be held next month to authorize spending $2.6 million to repair the bridges, which would be funded through a bond. “It will cost $1 million in engineering expenses to reconstruct three of the bridges, but we hope to do that next year,” Shatz said, adding that the town will apply for a state grant to make needed repairs to the largest bridge after the engineering report is complete, and further work will be planned for the future. Raising revenue and cutting costs are two items that rank high on the town’s priority list, and a joint meeting recently took place with the towns of Lee and Lenox to discuss the viability of sharing a town administrator. In late July, Jorja Ann Marsden retired from her position of town administrator after 31 years of public service. Her position was filled temporarily several months ago when Danielle Fillio was promoted from administrative assistant to interim town administrator, but the future of that position is a matter of speculation. “There has been a fair amount of disagreement over the idea of sharing a town manager; it’s a contentious issue because some people fear the loss of Stockbridge’s identity,” Shatz said, explaining that a public meeting will be held Jan. 9 to discuss the issue. Discussion could determine whether it is on the agenda at the annual town meeting in May. He noted that the combined population of the three towns is 12,000, and sharing a town administrator would allow them to hire a full-time finance director and a planner/grant administrator, which none of the communities can afford on their own. Several years ago, forward-thinking town officials decided the town needed to come up with a plan for the future. To that end, a Visionary Project Committee was formed and two planning consultants were hired to help develop a set of recommendations that could be implemented over the next 20 years and possibly lead to the creation of a new master plan. The committee issued a report in May titled “Planning a Way Forward” and presented it to the all-volunteer Planning Board. “It’s important as Stockbridge’s last master plan was completed in 1996, and the time has come to evaluate changes that have taken place or need to be made,” Shatz said. The report includes input from several public meetings where a wide variety of topics were discussed. Common themes included the need to improve traffic flow and parking downtown as well as to increase transportation options. The importance of luring new businesses as well as attracting and retaining young people and families were other key elements mentioned in the report. Planning Board Secretary Jennifer Carmichael said a public meeting was held after the report was made public. In addition, several business owners and residents scheduled meetings with the board to discuss matters that concern them. “We’re also still getting input from town officials,” Carmichael said, noting that, when the process is complete, the Planning Board will decide how to proceed with the recommendations in the report. But positive change continues in town. A $4 million renovation to Stockbridge Library, Museum and Archives was completed last spring, and people from nearby towns have been taking advantage of new programs and activities, along with state-of-the-art improvements that include a new multi-purpose room in the main part of the building that holds 35 people. “The library is absolutely exquisite, and its offerings include a cooking club, book club, speaker series, and expansion of the children’s programs,” Shatz said, explaining that the library houses historic artifacts, dates back to the darkest days of the Civil War, and was started by a group of public-spirited men who believed it was central to the life of the town. Although Stockbridge is a great place to live and visit, its leader say, the town lacks employment opportunities needed to attract and retain young people. “We don’t have jobs, so we have find a way to manage our resources better,” Shatz said. Officials are doing their best to make that happen, and hope revenue from Verizon’s cell-phone tower and the Ameresco solar farm, combined with infrastructure improvements, will help to resolve their challenges without disturbing the character that has made Stockbridge a destination people return to time and time again.